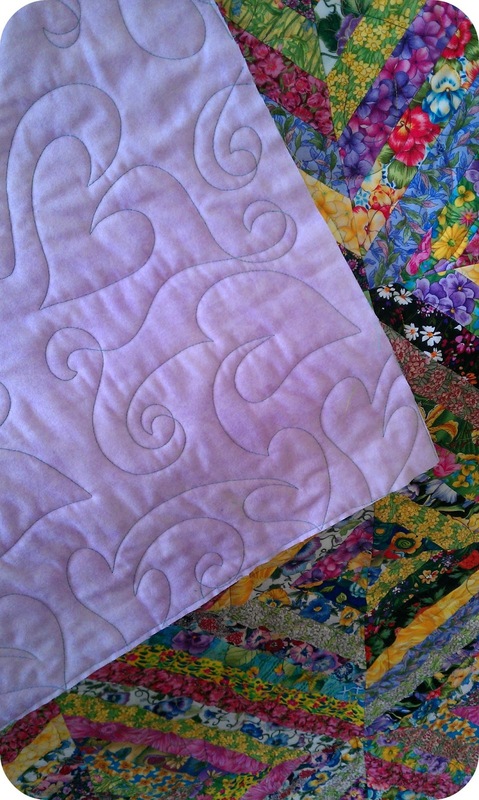 I love when I get the same quilt from two different clients. 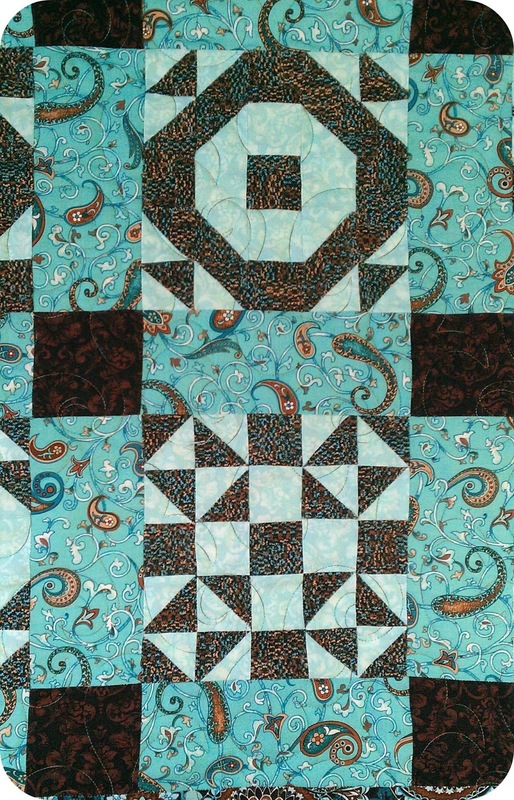 Sometimes they pick the same quilting pattern; sometimes the quilts look the same. 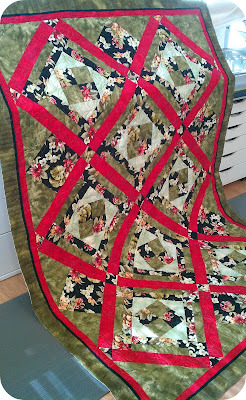 Betty pieced this Thangles quilt. 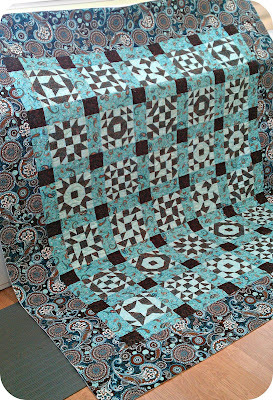 Sure wish I gotten in on this one; I love the fabrics. 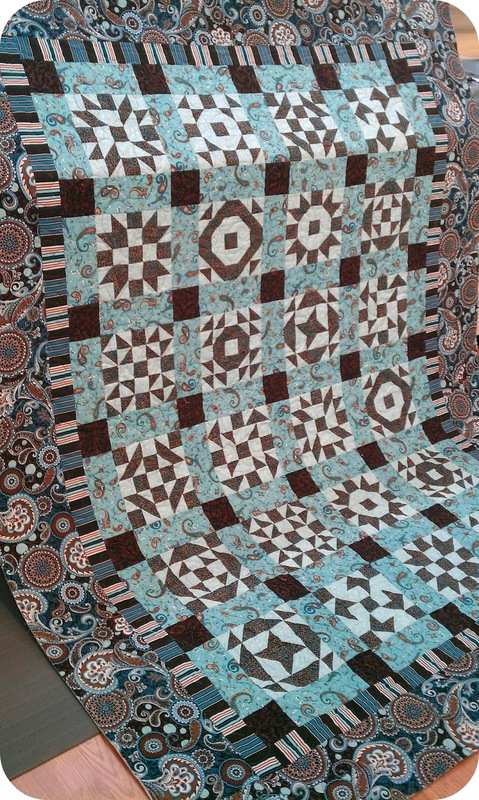 The quilting pattern matches the fabric line so well. Wilma also did a Thangles quilt. 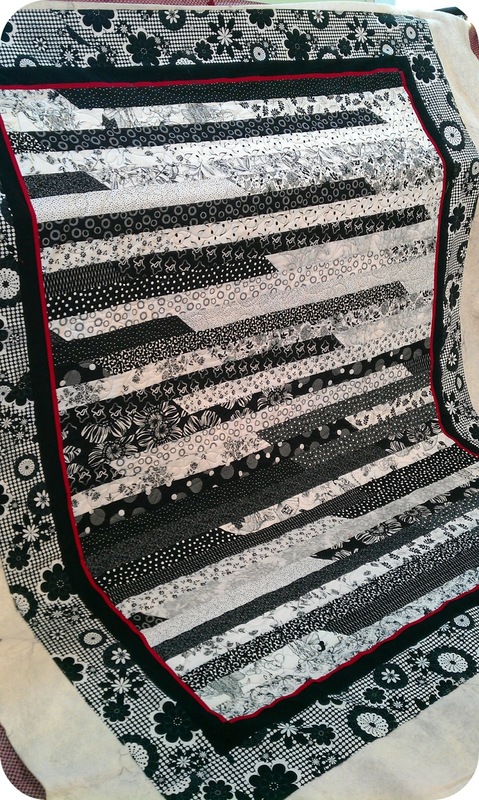 Wilma also did this jelly roll race quilt. 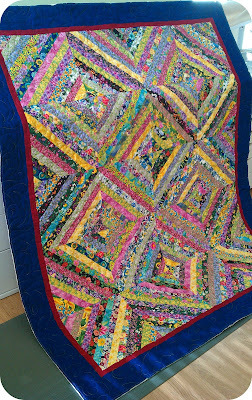 On this one, she just wanted the quilting in the body of the quilt. The red in the pictures was a flange and she didn't want that quilted down. 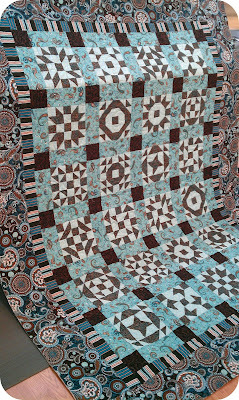 Nancy made a similar quilt to Wilma, adding a flange to the border. 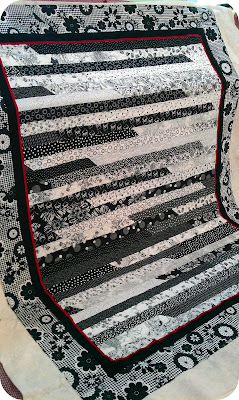 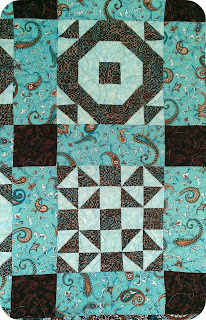 She also wanted a pattern just in the body of the quilt but asked for piano keys in the border. 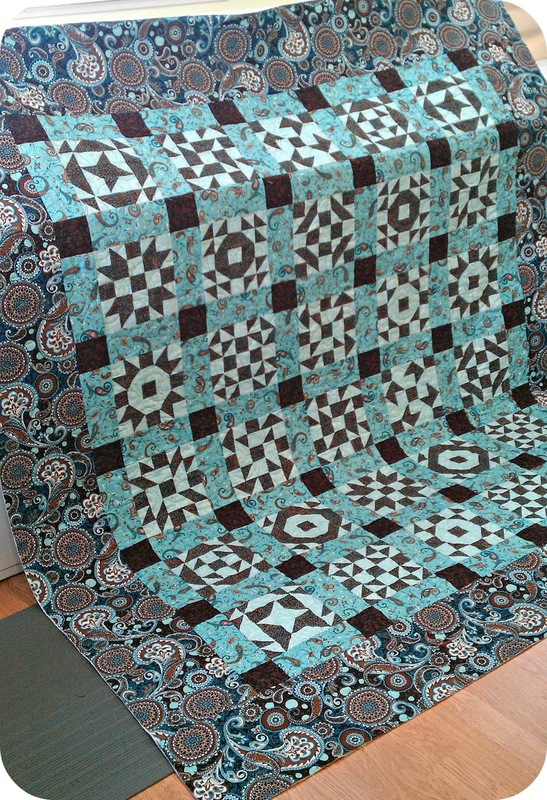 The pattern matched the fabrics so perfectly. Nancy also made this lovely string quilt. 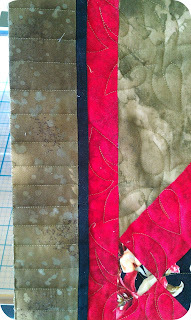 I love that Nancy went with a vivid emerald green thread on the backing; shows the quilting pattern so nicely.